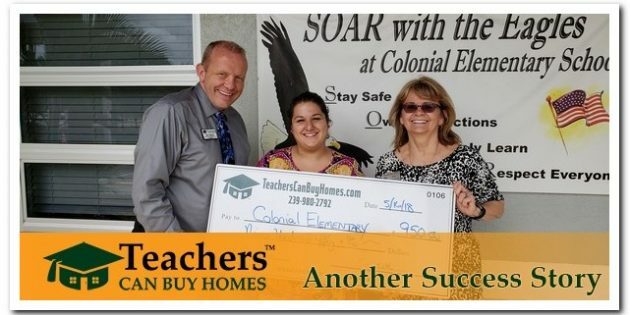 2nd Teacher from Colonial Elementary gets her home! Principal Dr. Marsha Bur accepts donation on Behalf of her Teacher Noel. 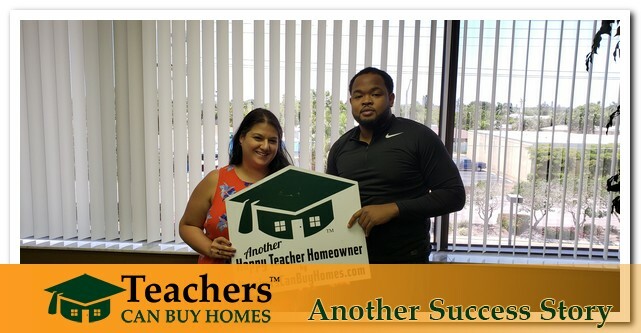 Noel, a kindergarten teacher from Colonial Elementary gets her dream home for her and her husband by using the program. Even after being denied a loan from her credit union and other banks, she called us and made her dream a reality. Check out her testimonial below and hear it from herself. Not only did we get all closing costs and pre-paids taken care of, but also we got her a home warranty and bought down their interest rate. Congratulations Noel and Jeremy! A donation for $950 will be made to Colonial Elementary to go toward a Kindergarten Program of Noel’s design.